UPDATE: Trump has officially announced Cain Federal Reserve nomination. 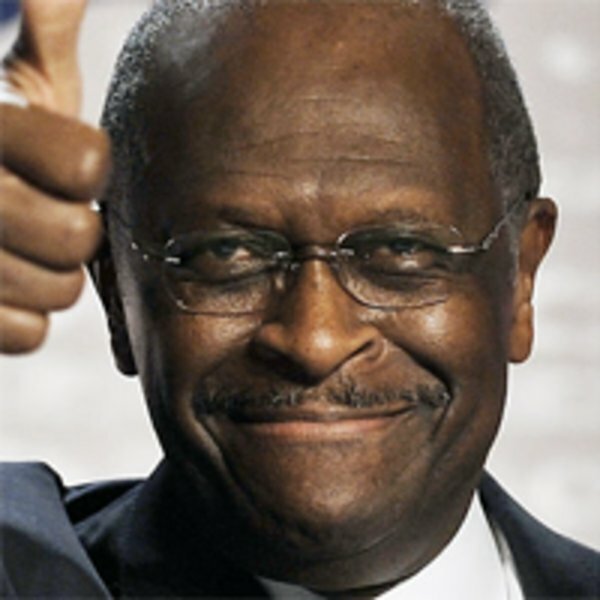 As I reported earlier today, President Trump has told confidants he wants Herman Cain on the Federal Reserve Board. It turns out that Cain apparently wants the country to return to a peculiar type of gold standard that he has outlined in his book, 9-9-9: An Army of Davids. I am fine with all of the above except number 4 where he writes, "It will not restrict the number of dollars available for the economy to grow." This is in direct contradiction to a gold standard. 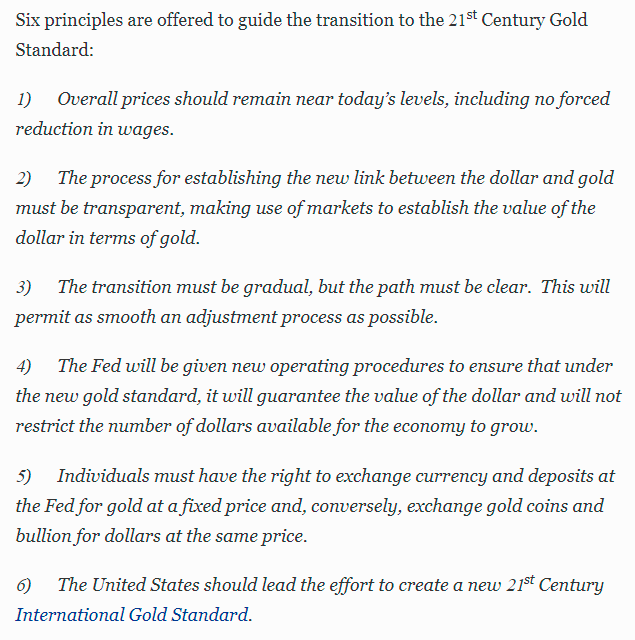 The idea behind a gold standard is to prevent a central bank from manipulating the economy by printing dollars "for the economy to grow." Cain's position appears to be some kind of very peculiar hybrid Keynesian-monetary/gold standard. A gold standard is a positive thing but this call to combine it with making dollars available for growth is unnecessary, and a possibly dangerous provision, depending upon what Cain really means. But there is a lot positive about Cain's call for a gold standard if we can get the peculiarity in part 4 knocked out. "7. It shall not be the Federal Reserve's Domain, or the entity that supplants it, to be concerned with the measure of unemployment in the United States. 8.Foreign Exchanges of Currency, including the exchange of gold or money or any Instrument representing Value with a foreign government, shall immediately be of Public Record, with no delay." Wouldn't abolishing the Fed once and for all, and leaving the evolution of hard money to the market, be the only "plan" that is needed? Don't we really just need one rule---"Abolish Central Banking" (and all government banks)---to accomplish our needs? Let the market determine the basis for our money, whether that eventually becomes Bitcoin, silver, tulip bulbs, cigarettes, iron nails, seashells, rhino horns, elephant tusks, or whatever. Yeah, that #4 really jumped out at me. And Charles, I like your addendum. Its like it was a neon sign that said ... "Bah, I was just joking"